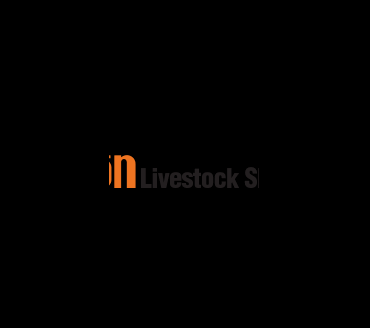 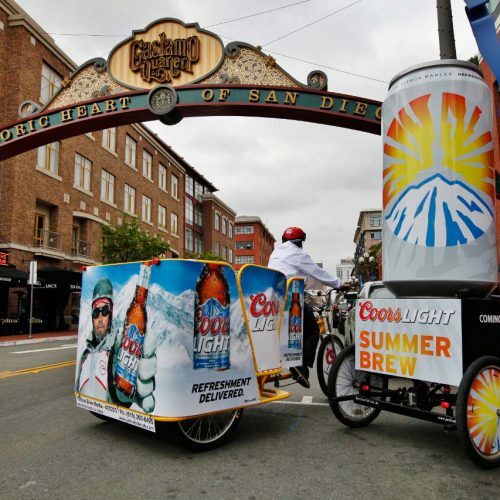 The Miller Coors Distributor Convention is the annual meeting of Miller Coors business partners in San Diego. 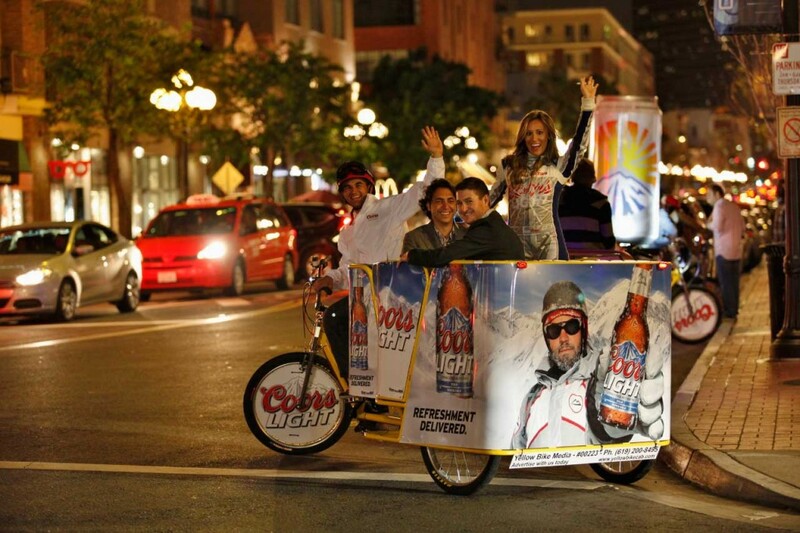 Miller Coors wanted to provide a bit of pampering to convention-goers while boosting brand recognition. 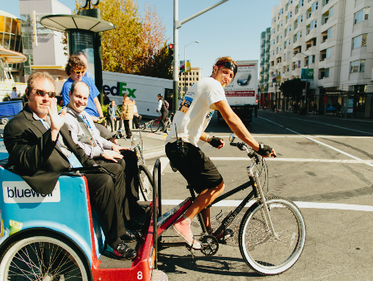 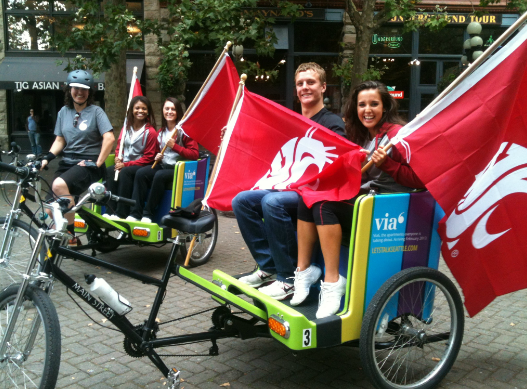 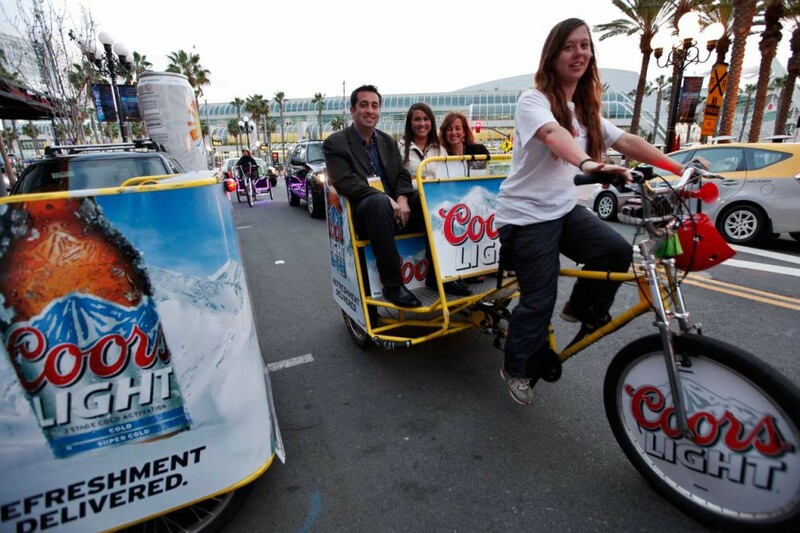 20 fully-wrapped pedicabs and one custom-built pedicab provided complimentary rides to people attending the three-day convention. 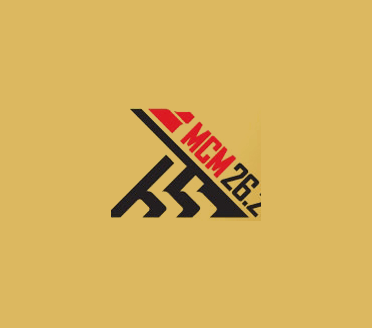 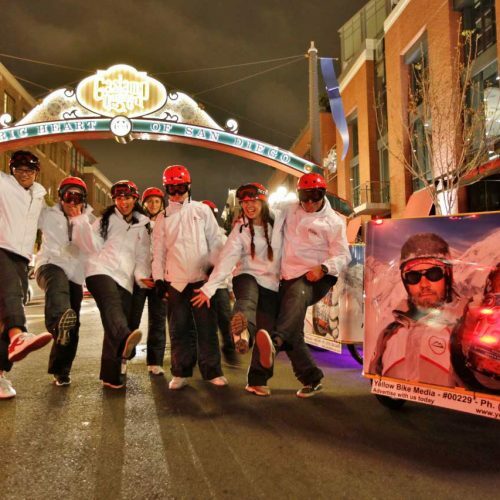 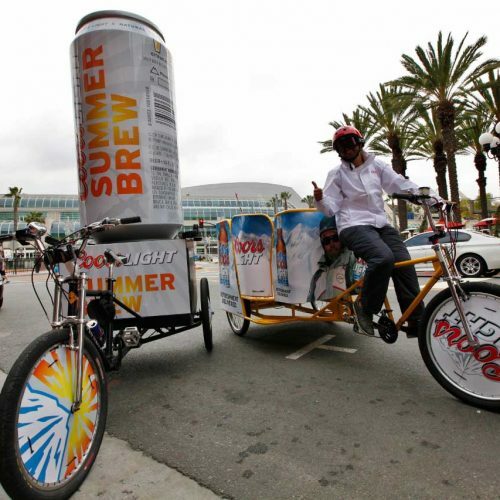 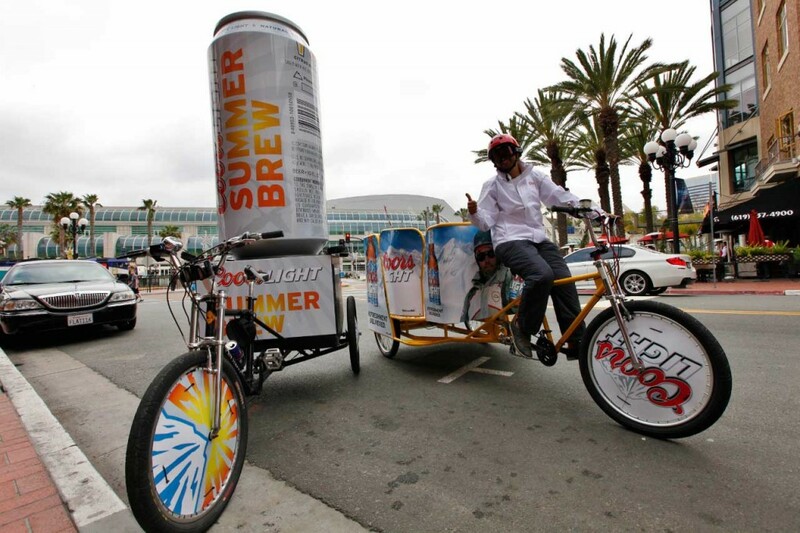 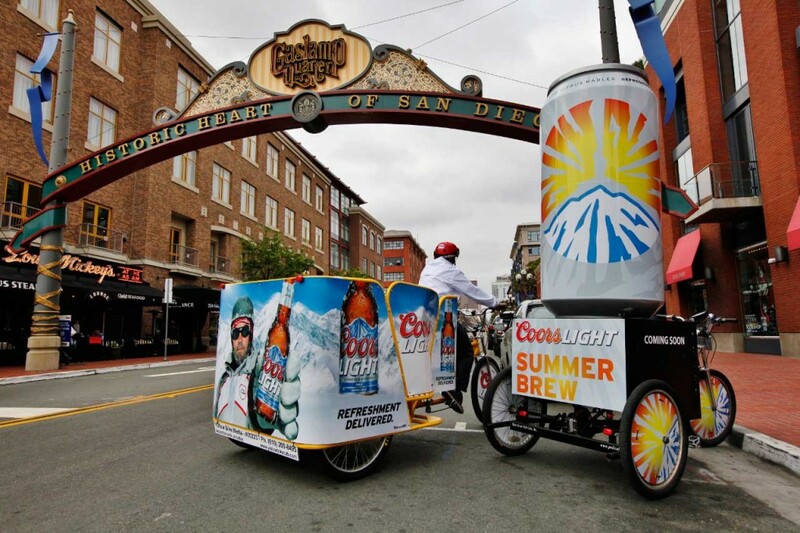 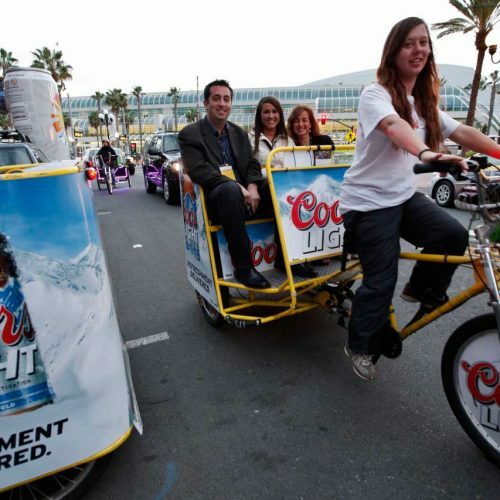 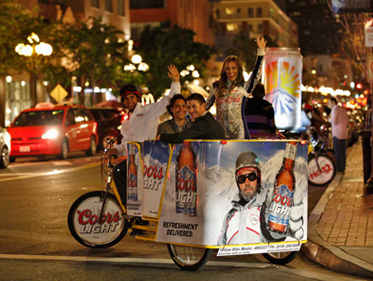 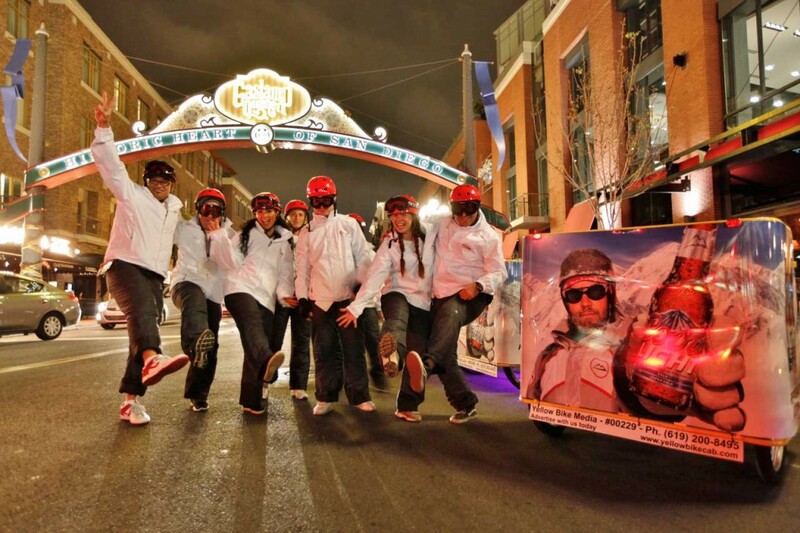 Drivers were outfitted in fully branded ski clothing to match the branding of the Coors Light pedicabs and operated around the Convention Center and major convention-area hotels. 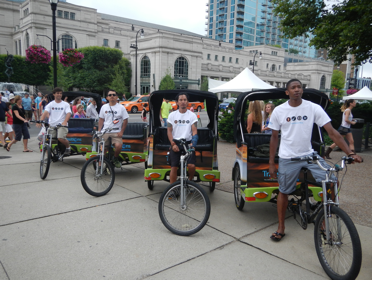 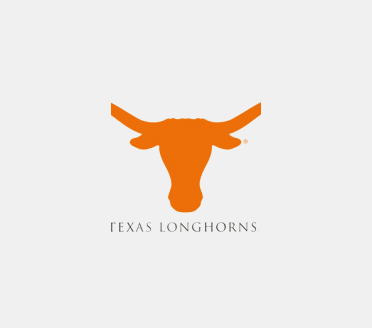 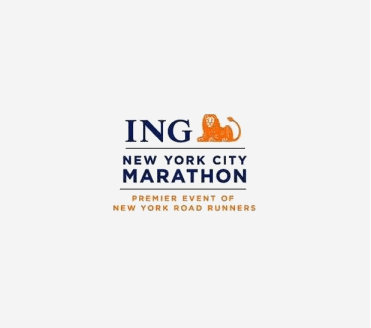 Brand ambassadors provided 500 hours of free rides in three days, totaling more than 1000 complimentary rides.